Providing durable, high quality and innovative new building products in Pakistan. Internationally, construction practices are rapidly changing with the advent and development of new products and material applications. Architects and Consultants in Pakistan are getting greater awareness of new products through exhibitions and Internet medium. Accordingly there is now a growing interest and demand for promotion of new building products. Construction practice in Pakistan is undergoing significant changes. To meet the budding requirements and challenges of providing durable, high quality and innovative new building products in Pakistan, Matrixx Company has been established. 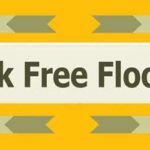 Currently our product range developed on internationally accepted standards include materials for concrete works, products for infrastructure works, architectural products for flooring and elevations. Matrixx Company focus and promotes on technology transfer and indigenous production of products for the Pakistani market. To cover the wide range of materials and products, Matrixx Company has teamed up with its strategic business partners to provide technical resource and customers quality care. The technical personnel at Matrixx Company have successfully worked together on many projects with extensive experience of management and execution of civil engineering projects of varied nature. The engineering staff of the company has overseas qualification and international experience. Matrixx can provide complete services for its product range for residential, commercial, industrial and institutional clients. Our goal is to set the trend for more efficient construction service in Pakistan through utilization of new and modern products with personnel trained and equipped on latest construction techniques and equipment. Matrixx Company is the authorized representative and distributor for Typar geotextile for earthwork. DuPont Company was found in 1802 in Delaware USA. The company initially manufactured gunpowder. In early 1900’s DuPont diversified into Chemicals and development innovative products including Neoprene, Nylon and Telfon. With presence in developed countries, DuPont is expanding its business in the emerging markets including Pakistan. 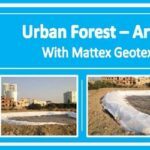 Matrixx Company is the authorized representative and distributor for GEOfabrics geotextiles for civil engineering application including seashore erosion protection. Established in 1992, GEOfabrics specializes in high tenacity non-woven geotextiles. GEOfabrics manufactures on a modern plant meeting high performance protection requirements. Matrixx Company is the authorize representative and distributor for Duracrete Fibre for application in concrete works. Syntech Fibres (Pvt.) Ltd. was established in 1987 with the primary objective of manufacturing specialized polypropylene yarns. Syntech has since grown by finding market niches through innovative products and has established itself as the market leader in Pakistan for polypropylene yarns and downstream products such as upscale office upholstery fabrics, narrow fabrics, area rugs, filter yarns and filter cartridges. Syntech Fibres utilizes its expertise in polypropylene yarns and downstream application to manufacture Duracrete Fibrillated Polypropylene Fibrous Reinforcement for the construction industry. Matrixx Company is the authorize representative and distributor for pre-cast concrete products for architectural use. Concrete Measure was established in 2005 to manufacture pre-cast concrete product employing wet casting techniques and modern mold materials. The products are handmade drawing on the artesian skills of the workers.